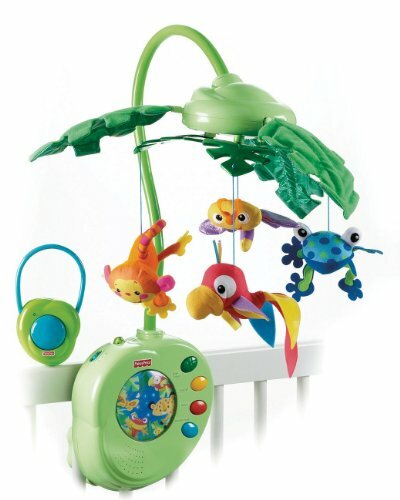 Includes: 10 durable plastic shapes-8 birds and 2 leaves; 18 coated, looped wires for easy assembly; and hanger and filament for suspending. Spans approximately 20 in. when assembled. A must for Charley Harper enthsiasts! This product is not intended for use by children. If it is hung in a child's room, make sure it is positioned out of the child's reach. Brighten any room with this colorful mobile featuring the art of Charley Harper! Born and raised in the Appalachian foothills, longtime Cincinnati resident Harper (1922-2007) was a passionate naturalist whose keen eye for the details of wildlife inspired a groundbreaking artistic style. His geometric shapes and solid colors reflect the true essence of the animals he portrayed. 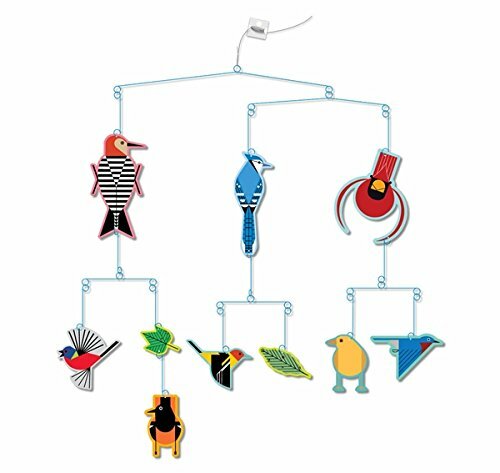 In this mobile, eight of Harper’s birds-a cardinal, blue jay, red-bellied woodpecker, painted bunting, Baltimore oriole, yellow finch, western tanager, and eastern bluebird-flit about in a mesmerizing and joyful display.